Here are some options for financial assistance from government agencies, organizations and other programs that provide resources for cancer patients and their families. A Cure In Sight (ACIS), a not-for-profit organization founded by OM survivor and activist Melody Kling, is dedicated to raising ocular melanoma awareness and to helping those with OM find and pay for the treatments that they need. ACIS generates funds through the sale of OM awareness products, by accepting donations of money, travel vouchers/frequent flyer miles, timeshare weeks, hotel vouchers, gift cards and gas cards to help patients find and pay for necessary treatments otherwise outside of their medical budget. 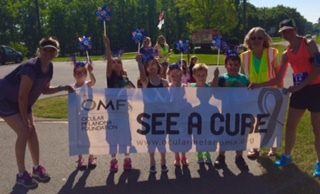 Founded in 2011, the Community United for Research and Education of Ocular Melanoma (CURE OM) is an offshoot initiative of the Melanoma Research Foundation (MRF), a melanoma group focused primarily on cutaneous (skin) melanoma, to increase awareness, education, treatment and research funding forocular melanoma while improving the lives of people affected by this disease. The initiative is led by Sarah Selig, former Scientific Chair of OMF. OcuMel UK is a charity based in the United Kingdom which represents sufferers of ocular melanoma. The organization aims to "support patients and their families by providing accurate, up-to-date information and emotional support via [their] website and helpline. [Their] vision is a world where all ocular melanoma sufferers and their families are given the information, support and treatment they need." > View all general workshop podcasts from CancerCare.. Nothing on this site is meant to replace the opinion of a medical professional. Please consult with an ophthalmologist and oncologist, at a minimum.